MPD's GL7964 triggered spark gaps have been used in such systems as Pershing missiles and the Titan IV High Energy Firing Units (HEFU's). 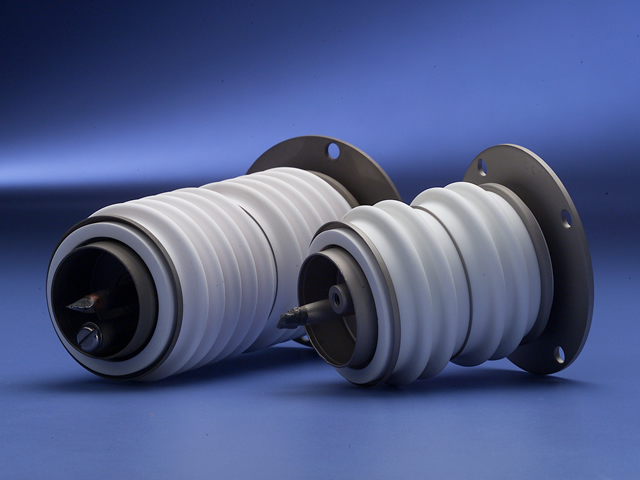 Our larger spark gaps like the ZR7516 and ZR7512 have been used in system protection for the Navy's AEGIS systems. When reliability is needed, MPD is there. To protect large-scale electronic systems, triggered spark gaps are used in a "crow-bar circuit" - when large amounts of energy need to be switched away from a circuit very quickly. We have three basic spark gaps: the GL7964, the ZR7516 and the ZR716. There are variations in configurations of these three basic gaps, such as ZR7555-1 or a GL7964-3. Contact Us for more details. The GL7964 has most recently been used on the Titan IV program.